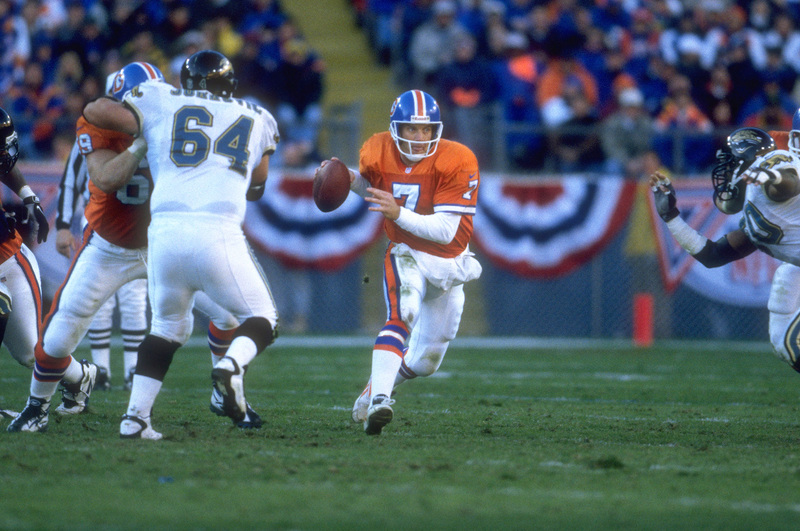 John Elway scrambles against the Jacksonville Jaguars on Jan. 4, 1997. Denver hosts its first playoff game since Jan. 4, 1992, as the Jacksonville Jaguars come to Mile High Stadium for an AFC Divisional Playoff contest. Jacksonville upset the Broncos, 30-27.